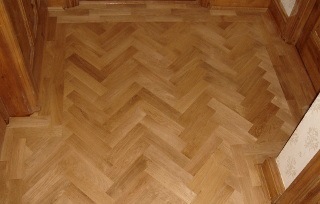 Restore your old floors to a beautiful and easy to clean state with wood floor sanding in Swiss Cottage. Book trained Bona-certified technicians for your home, your commercial properties, or as a landlord increase the value and desirability of a rental property by offering your tenants a touch of timeless elegance. Take advantage of top of the range equipment that eliminates most of the dust and mess that used to be associated with floorboard stripping. This is a complete service, so as well as sanding your floorboards, restoration work could include gap filling, floorboard repair, staining and sealing. 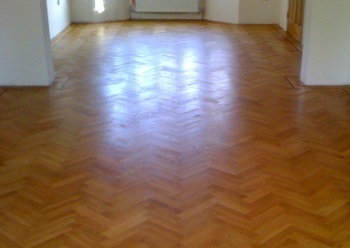 Choose any of our 24/7 contact options to arrange a visit from the most reliable floor sanding tradesmen in Swiss Cottage. Call us on 020 3404 4979 to book your consultation. Set up your visit for any time that suits you, from 8am to 8pm, and for any day of the week. Alternatively, arrange your quote via the live chat facility on this site. Finally, when you'd like us to call you, simply leave your details on our contact form, and a member of our customer support team will get back to you at the time you've indicated is convenient.